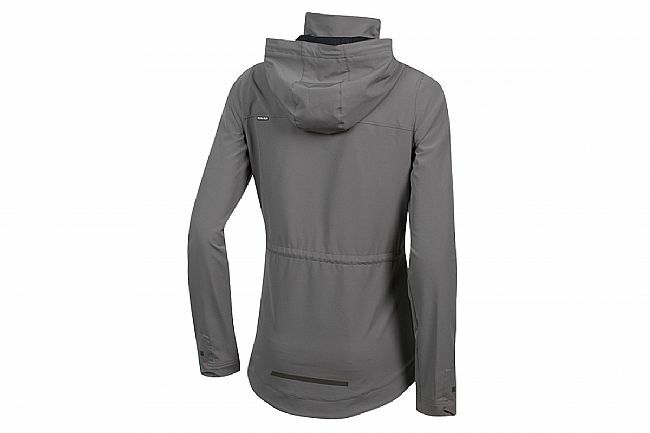 Pearl Izumi's Women's Versa Barrier Jacket is designed to keep you warm in cool weather, whereever you are; whatever you're wearing. It showcases a street-casual style that's combined with performance technology such as wind protective Versa Barrier fabric and water resistant DWR treatement. 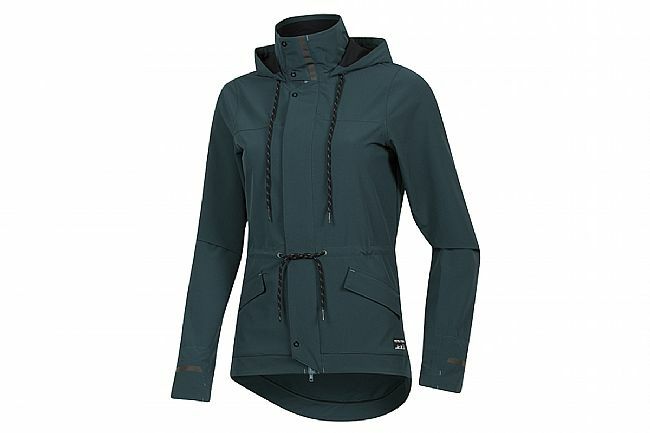 The draw cord hood and hidden hand mitts inside the sleeve cuffs provide additional protection in poor weather. The drop tail hem offers backside coverage while on the bike. Subtle reflective details enhance visibility in low light or at night. Versa Barrier fabric with DWR finish. Hidden hand mitts inside sleeve cuffs.